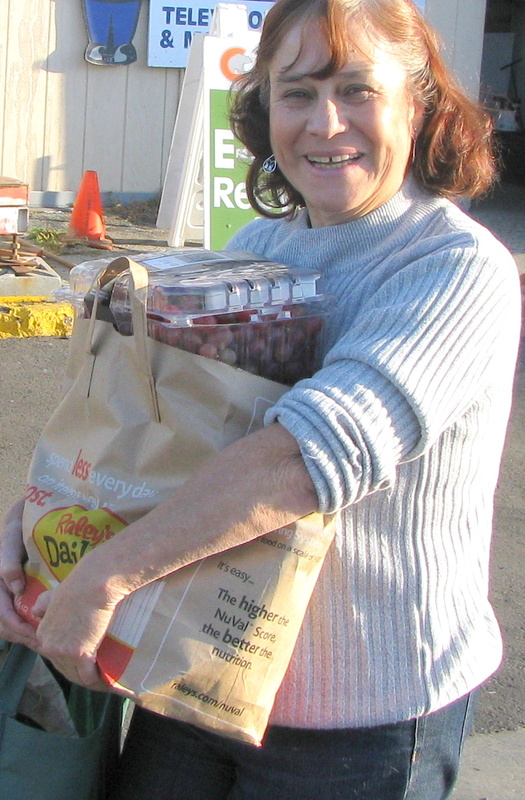 We deliver a weekly shopping bag filled with fresh produce and healthy staples to county residents age 55+ in Santa Cruz County. Click here to begin receiving a weekly brown bag of groceries. One of our volunteer drivers will deliver your bag to a site near you, or to your doorstep if you have a disability. Everyone is invited to become a Grey Bears sponsor for just $30 a year (with discounts for multiple years or lifetime). Volunteer at Grey Bears any weekday and enjoy a delicious hot lunch and take home a full bag of groceries. Click here on ways to volunteer.